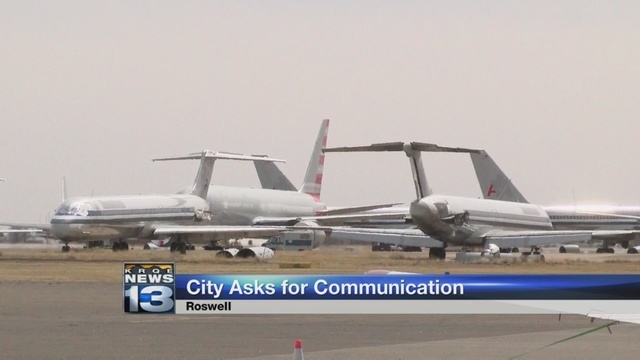 Roswell officials are seeking for the Air Force to include area residents in discussions on its proposal to expand airspace use in southeast New Mexico. The Roswell Daily Record reports area leaders met with Air Force officials this week, looking for the military branch to increase its dialogue with the public. The Air Force announced last year that it was examining plans to possibly alter three Military Operations Areas in the state. Some residents of southeast New Mexico have voiced concerns that altering the military's airspace could disrupt commercial flights, private aviation enterprises and air ambulance services. The Air Force held public scoping meetings last year in Carlsbad, Truth or Consequences and Las Cruces, and it plans to hold additional hearings after the Environmental Impact Statement is drafted.